1-A continental-scale, Human Exclusion Experiment (HEE). We will will use steel cages to simulate the effects of 1 and 2 year harvest halts and open plots as controls where harvest continues unimpeded. The HEE will test the effect of those treatments on the biodiversity, productivity and economic value of SB stands and on their potential to produce larvae. 2-Construction of regional, spatially explicit Bioeconomic Models (BM). We will build biophysical larval dispersal models to visualize the seeding effects of fallow or protected areas on other regions and the patterns of connectivity among managed or co-managed units. These models will be validated by direct measurement of recruitment distributed in time and space. 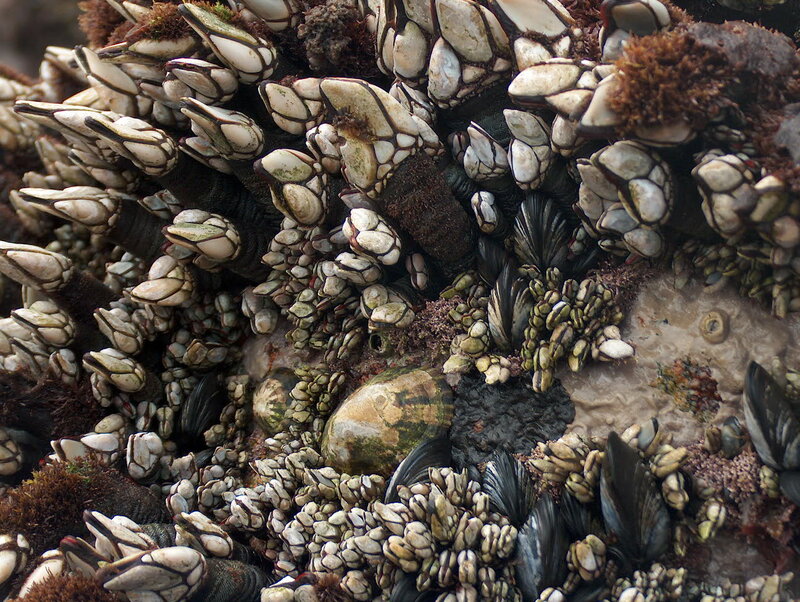 These two objectives will be completed at four experimental sites: coast of Alentejo (Portugal), Atlantic Islands (Galicia, Spain), Western Asturias (Asturias, Spain) and South Brittany (France), covering the latitudinal range where the barnacles are exploited in the EU. PERCEBES contemplates collaborative engagement of stakeholders, with fishers, administration and ONGs involved in site selection, experiment surveillance and sample collection. PERCEBES seeks to stablish a consortium with the fishers to secure a large number of recruitment observations distributed in time and space. The project will combine results from experiment, hydrodynamic models and landings data into spatially explicit bioeconomic models which will allow generation of “policyscapes” to optimize the conservation/exploitation tradeoff. This is of interest for Administrations seeking to manage the SB fishery. At the end of PERCEBES, fishers, scientists, administrators and ONGs will participate in a facilitated workshop with the goal of producing a Policy Brief with recommendations based on the project results. PERCEBES will also produce a videodocumentary focused on the effects of harvesting on biodiversity patterns, intended for a general audience, and focused on the science of the interaction humans-ecosystem.